Claire walked 2 2⁄5 miles. Jason walked 2⁄3 as far as Claire. How many miles did Jason walk? 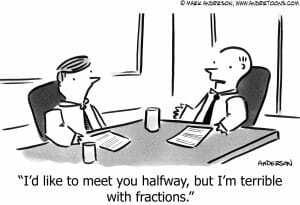 I am confident that the 5th grade scholars at Blackstone Valley Prep, where I am the Director of STEM, are ready to take on fractions this year, thanks in part to a program called Math Stories. 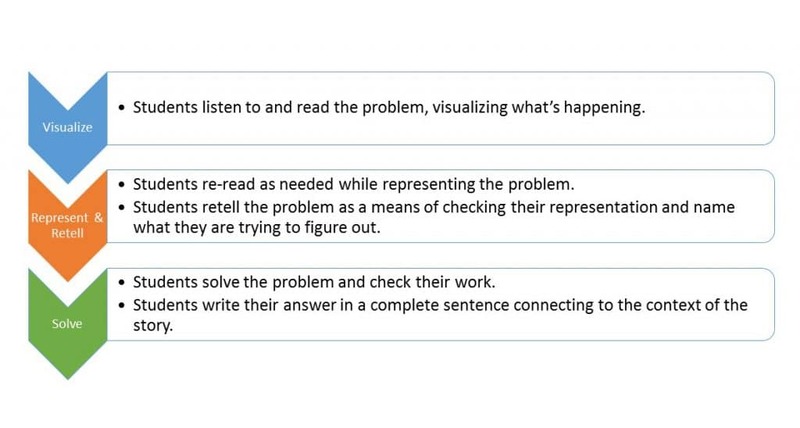 A conceptual approach to solving complex story problems, launched by Achievement First in 2014-2015. Structured protocol used in tandem with schools’ own curriculum to help teachers and students accelerate their math learning. Punctuated moments where students explain their representations to a thought partner, respond to a targeted discussion question, and revise their initial thinking2. With the help of materials from FirstLine Schools in New Orleans, BVP is going to pilot a 5th grade version of Math Stories focusing solely on 5th grade fraction story problems! We will document our journey with video, student work, teacher and student interviews, data progress, and more via the Field Memo. 2Check out this video of Math Stories in action in 1st grade at BVP during the 17-18 school year.